I received some fresh, piping-hot gear this week. Most important of my new arrivals was a new Gatewood Cape. Could this be the finest cape/tarp in the freaking world? Stay tuned to see my evaluation! 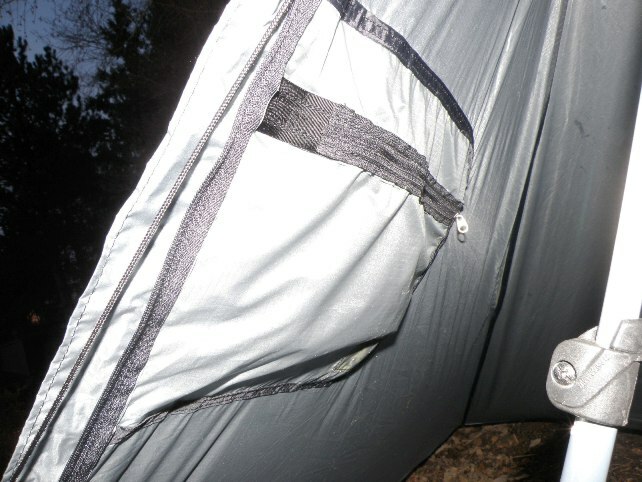 First things first, the Gatewood Cape weighs in @ approximately 11 5/8 oz when seam-sealed and including the harness, main guyline, and smaller, 16-inch guylines for the perimeter. 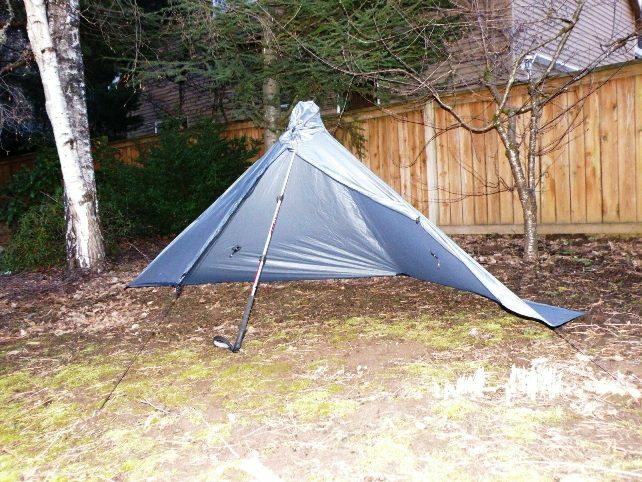 While not as light as other poncho/tarp combinations, it provides a complete shelter that doesn’t suffer from their limitations (e.g. 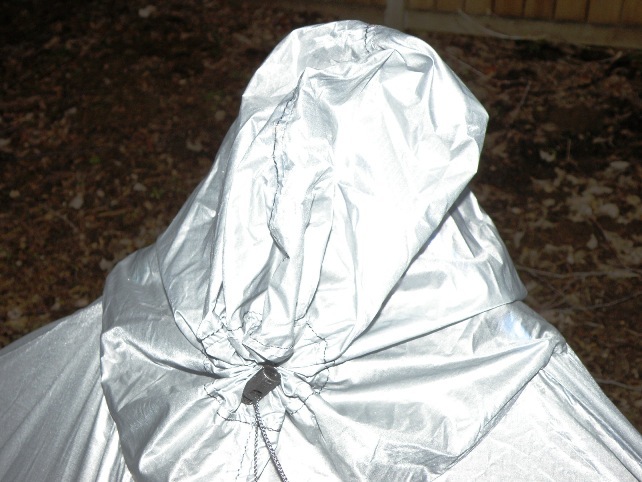 the hood compeltely seals off and will not create the “bucket effect” commonly seen in poorly setup poncho tarps). Setting up the cape is really simple. You simply stake either side of the vestibule and another in the rear loop making a triangle in the cape. 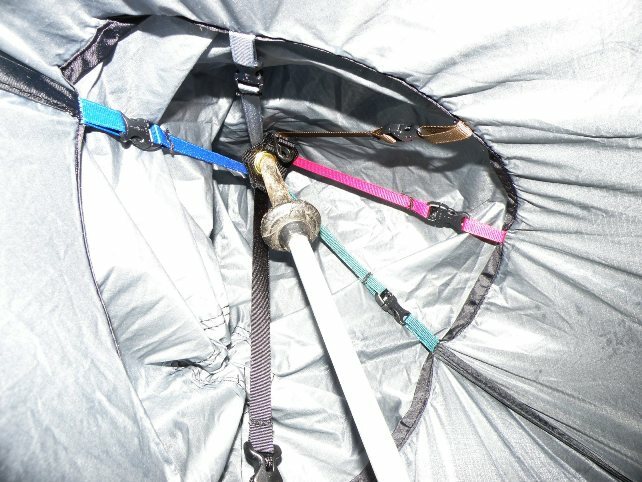 Assuming that the harness is already assembled (there’s no need to remove it for wearing in “cape” mode), all that is needed is to insert the hiking pole into the grommet hole in the harness pointed towards the vestibule, attach the main guyline (attached to the harness) to the vestibule with the hook attachment, stake it off, and stake the remaining two guylines. It only takes about five minutes to setup. There's a toggle-loop combo for pulling back the door. The hood harness is color-coded, making it virtually jackass proof. 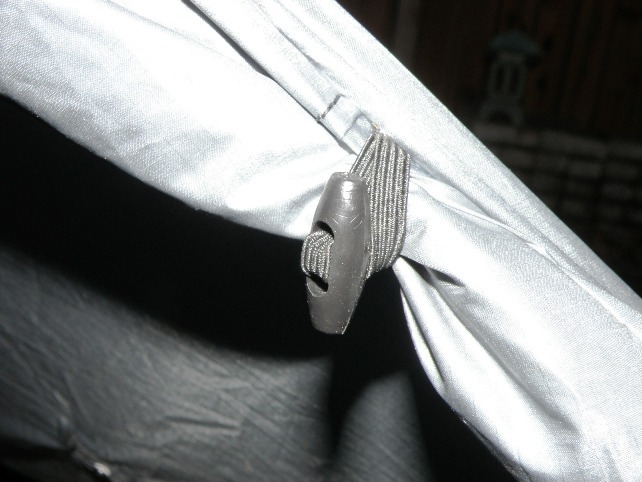 The grommet hole prevents the tip from impaling the silnylon. As noted by Mclovin in his top ten gear items post, the cape is perfect and works well both as a cape and shelter. As noted above, it provides a lot more options than a typical poncho. 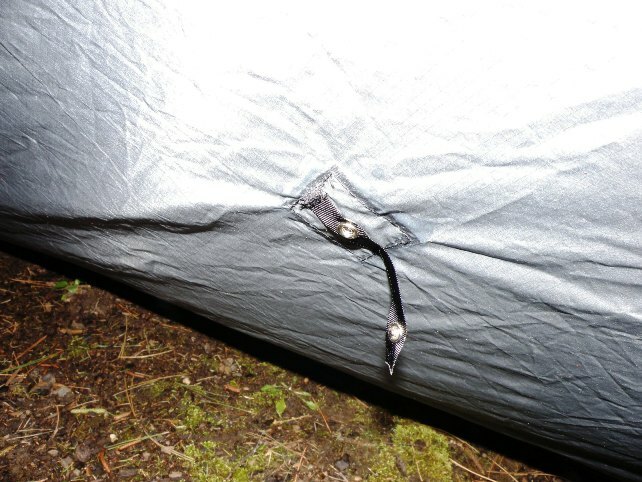 There’s a two-way zipper that creates ventilation options when either worn or as a shelter. 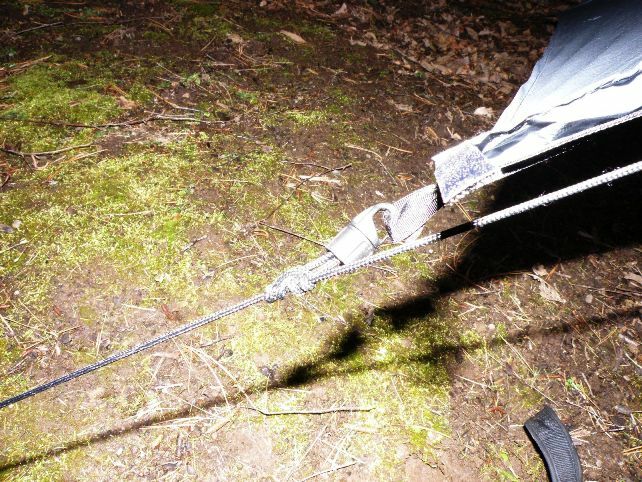 It requires only six stakes in total vs. eight-ten for a typical poncho/tarp. This item will be part of my 3-season kit moving-forward. It is extremely innovative! Ron Moak has done an excellent job of thinking this completely through!